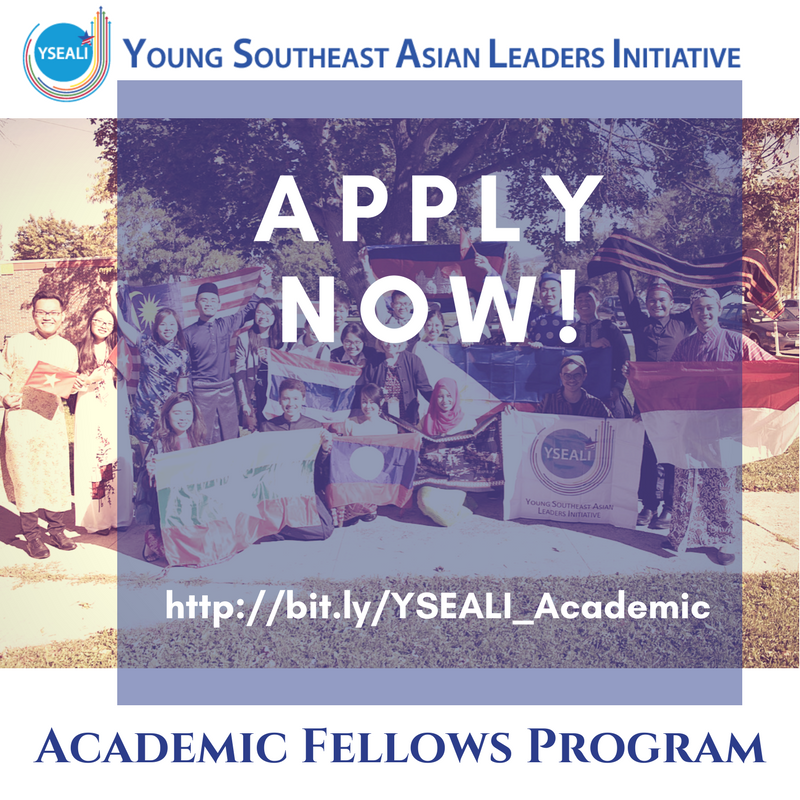 Apply now for the Fall 2017 YSEALI Academic Fellows Program in the U.S.! 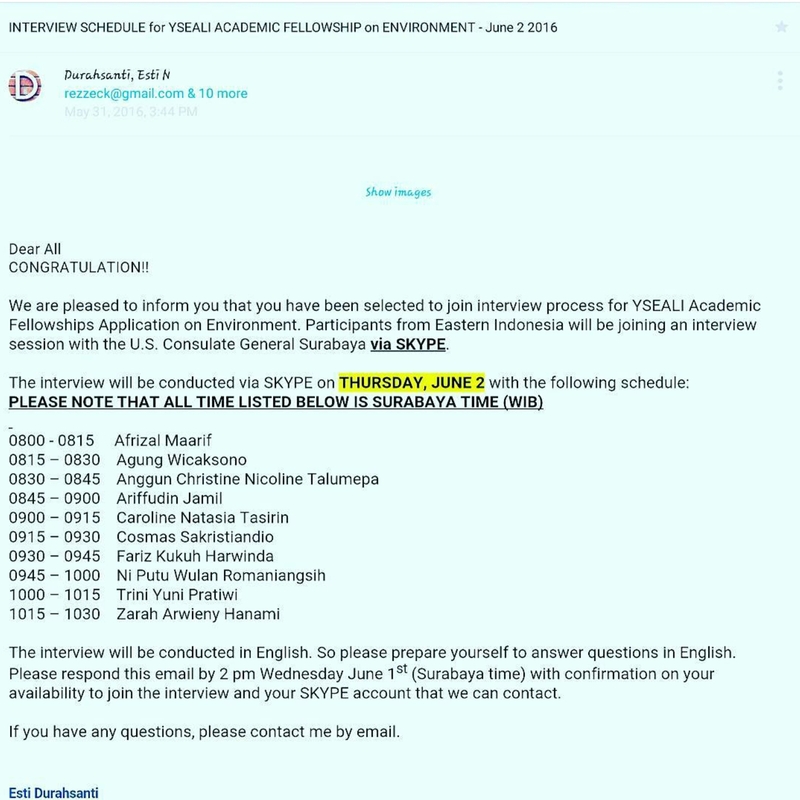 We’re calling all YSEALI members between the ages of 18 – 25 who are interested in civic engagement, environmental issues, or social entrepreneurship to apply to the YSEALI Academic Fellows Program. The YSEALI Academic Fellows Program is an intensive five-week exchange program to the United States, consisting of a balanced series of seminar discussions, readings, group presentations, and lectures. The coursework and classroom activities will be complemented by educational travel, site visits, leadership activities, and volunteer opportunities within the local community. The Fellowship will focus on one of three themes: Civic Engagement, Environmental Issues, and Social Entrepreneurship and Economic Development. The Fellowship funds travel, accommodations and basic living expenses for selected participants. Preferably have little or no prior study or travel experience in the United States. The Fall 2017 YSEALI Academic Fellowship Program will take place starting in late August to run through November 2017. Check out our website for country specific information and deadlines, and how to apply!